can i take admission in any on of these clg right now? List of colleges accepting 8973 rank in UPTU for MBA? Admission procedure for MBA in Badruka college? UPTU government colleges after 2851 general and 972 Gl rank in UPTU for MBA course? Re: After completing B.Tech from UPTU which colleges in Karnataka/Bangalore should I join for MBA? you are perfectly eligible for mba course after completing b,tech course. Ther is many colleges in which you apply.I listed some of them. 4.MS Ramaiah institute if technology-Bangalore. 5. Sri jayachamarajendra college of engineering-Mysore. hello friend,yes you are eligible for MBA course.it is a 2years course.it is a good scope course. **Educational qualification is graduation in any stream from any recognized university with 50% marks and for Sc/st graduates 45% is eligible. there is no age limit for MBA entrance exams and final year graduates are also apply for entrance exams. Yes , you can join colleges in Karnataka/Bangalore for MBA After completing B.Tech from UPTU . You can appear any Entrance exam for MBA Course in state or you can approach directly for getting the admission . Xavier Institute of Management & Enterp. Karnataka/Bangalore for MBA After completing B.Tech from UPTU . You can appear any Entrance exam for MBA Course in state or you can approach directly for getting the admission . List of Business Schools in Karnataka/Bangalore Offering MBA. Xavier Institute of Management and Enterp. 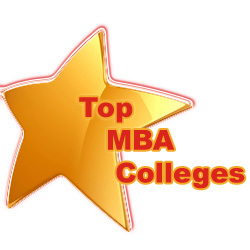 get a admission MBA best college after crack exam and get admission MBA best college. doing work hard than get admission MBA college.